I use my yoga mat almost every day. I enjoy doing yoga, pilates, and just stretching on my rest days. Due to this constant use of my yoga mat is covered in sweat and bacteria. Gross! This is why it’s important to clean your yoga mat regularly. I have seen advertisements for different brands of yoga mat cleaner, but why pay for what you can DIY easily at home? With just a few ingredients I’ll show you how to have your yoga mat germ free and smelling great in no time. 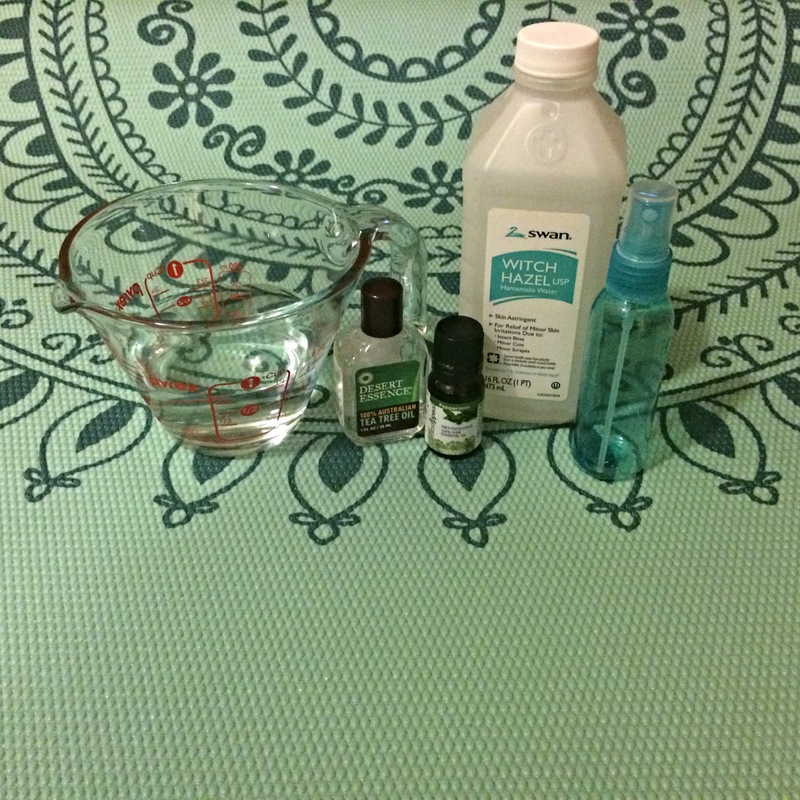 To make a DIY yoga mat cleaner you only need three components: the base, a disinfectant, and a scent maker. Here are some suggestions for each component. This is the great thing about a homemade yoga mat cleaner. You can use the ingredients that work best for you. If you have an allergy or simply can’t get a hold of an ingredient just switch it out. Once you’ve picked the ingredients you want to use just grab a clean container to store your cleaner. Fill a spray bottle 3/4 of the way with the base, 1/4 the way with the disinfectant, and add about 10 to 20 drops of the scent maker (this depends on the size of your container). I’ll give my preferred recipe as an example. I take a small spray bottle and fill it 3/4 full with filtered water. I then add witch hazel until the bottle is mostly full. To top things off I add about 6 drops of peppermint oil and about 9 drops of tea tree oil. That’s it! Now just spray down your mat with the cleaner and wipe it down with a towel. Once it’s done air drying you’re good to go. 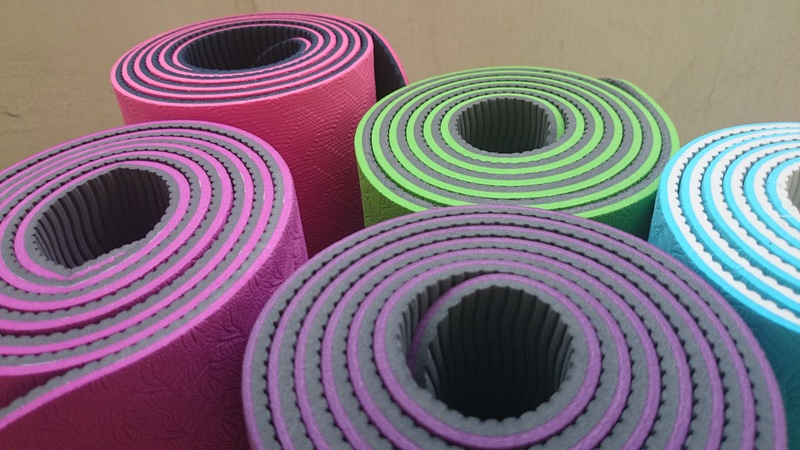 Yes, it really is that easy to keep your yoga mat fresh, clean, and bacteria free. Thanks for reading and don’t forget to share this post with your workout buddy. Also, please leave a comment on what scent you would like to try for your DIY yoga mat cleaner.